One of the best opening holes in The Netherlands. 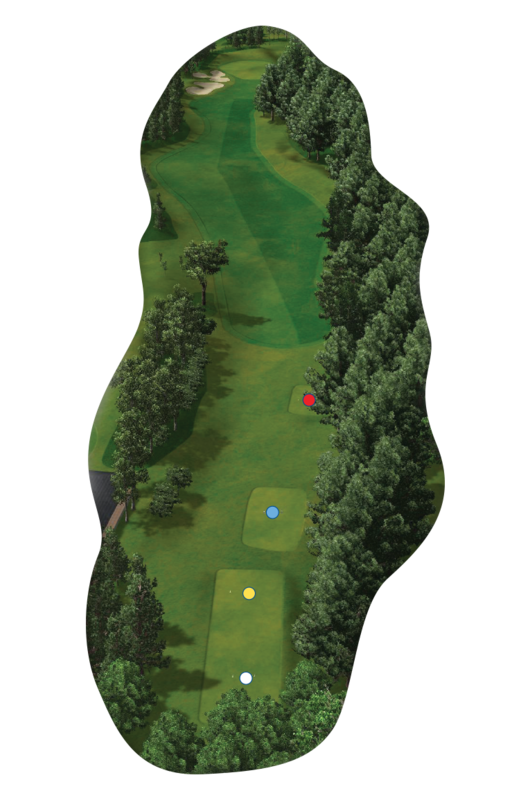 The best line off the tee favours the left side of the fairway to give the best angle to the green. Approaches from the right side are blocked out by a crop of trees, make sure to take enough club. The green is large with two tiers.